Hannover vs Bayern München was another easy match for the Rekordmeister as the Bavarians walk away with an easy 3-0 victory. It was a quiet start to the match at the HDI-Arena. Bayern coach Jupp Heynckes experimented ahead of the Real Madrid match starting Niklas Süle starting in midfield and the 18-year-0ld Lars Lukas Mai in the back four. Bayern’s first chance came in the 12th minute with Rafinha and Arjen Robben combining on the right wing, and the Dutch forward brought the ball in where Thiago was left open but missed the goal. Bayern were dominant and had further chances. Sandro Wagner was left open in the box for a header (17′), and right after Süle unleashed a shot from just outside the box (17′), Hannover keeper Philipp Tschauner kept his side in the match on both occasions. Hannover, in the meantime, had one big chance through Timo Hübers, who was left wide open after a freekick from the left flank, the 21-year-old extended the ball and Sven Ulreich had to produce an excellent low dive to keep the ball out. Despite the chance, however, Bayern remained in control but were without consequence. Wagner once again tested Tschauner with a close-range header in the 30th minute but did not find a way through and just before halftime Tschauner was once again at the centre of attention as he stopped a thunderous shot from Thiago (40′). Bayern were in charge of what was overall a poor first half. Bayern brought Thomas Müller at halftime, and the German national team player broke the deadlock in the 58th minute. Müller played the ball out to the left wing to Bernat; the Spaniard crossed the ball back to the centre where Müller was now free and scored with a wonderful volley. Overall, however, the second half followed the pattern of the first interval with Bayern controlling the match without being consequential in their actions in front of goal. In the 67th minute Robert Lewandowski was brought on for Wagner, and five minutes later he scored his goal with a header from six-yards out after a corner kick from Sebastian Rudy. Bayern then added a third just before the final whistle. 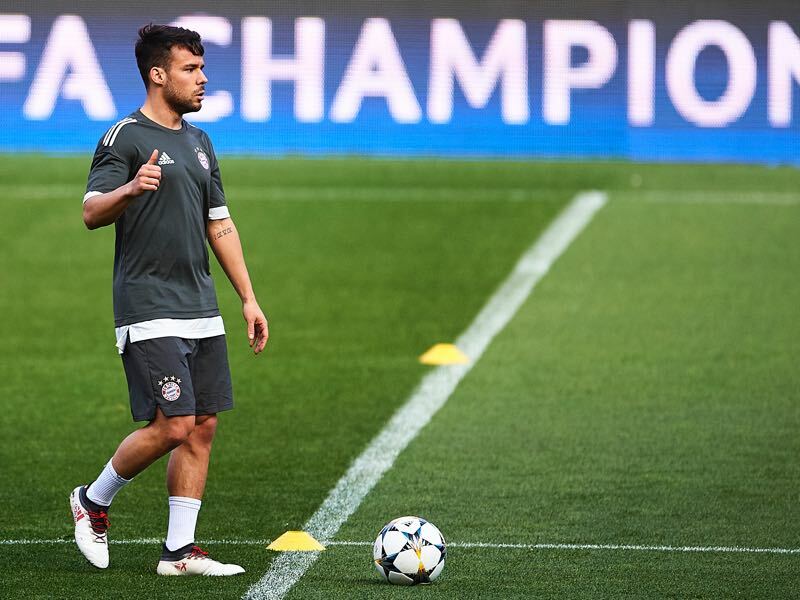 Juan Bernat played the ball from the right to the left where Müller crossed the ball in front of the net where Rudy was left wide open to score from just a few yards out. The goal finished off the match. Hannover were too weak to challenge Bayern and the Rekordmeister saved their strength for the Wednesday clash against Real Madrid. Juan Bernat was the Futbolgrad Network player of the match. The Spaniard was involved in two of Bayern’s goals and had a pass accuracy of 93.4%. It was an excellent performance by the Spaniard, who is often considered surplus material at the Bavarians. It was an easy match for Bayern, who were happy that they were not challenged by a weak Hannover side ahead of the big Champions League clash against Real Madrid. Thomas Müller provided his 12th assist this season – he never managed to provide more (last season also 12). Lars Lukas Mai is the first player to be born in the year 2000 to make an appearance for FC Bayern the – only six players were younger in their first game. Robert Lewandowski has now scored 28 goals in 28 games.